Meguiar's Boat/RV Mirror Glaze HD Oxidation Remover removes moderate oxidation, scratches, stains and tough water spots on all fiberglass gel coat and painted marine or RV surfaces. 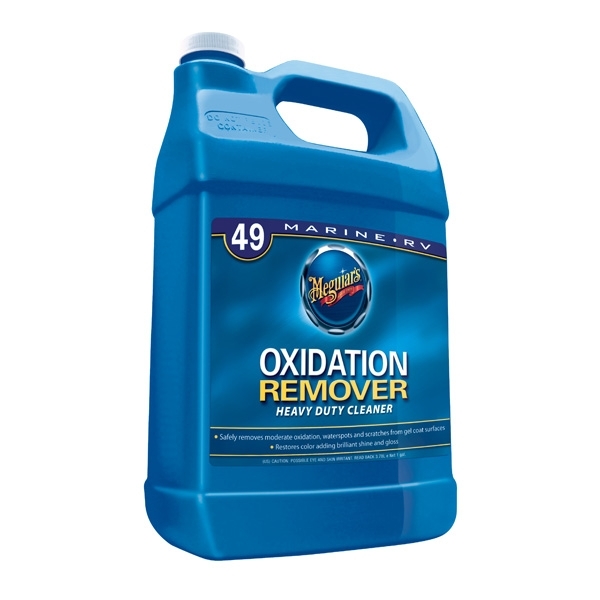 Restores color by effectively removing surface degradation. Meguiar's Boat/RV Color Restorer, M4416 - 16 oz.